Decorative swords simply don’t cut it when practicing Iaido or other martial arts with a dull/unsharpened steel sword (called Iaito). A steel sword gives a much more realistic feel which is why most practitioners prefer them over wooden ones. 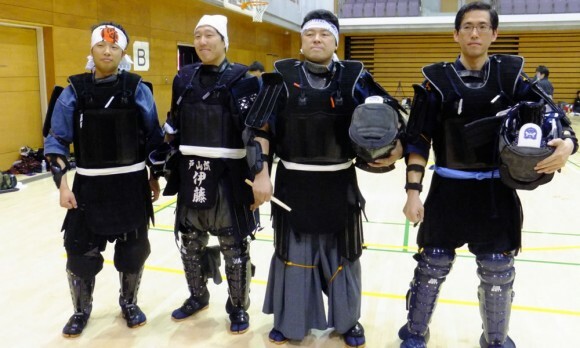 Even though Iaido doesn’t require a higher quality sword some other techniques or martial arts might, especially if you intend on doing sparring with your katana. What you need in that case is a dull-blade katana that can withstand most blows and parrying, but can’t actually hurt your sparring partner when practicing. Doing any kind of battle practice with a sharpened sword is extremely dangerous and certainly not recommended: even the most skilled masters wouldn’t dare to do any kind of combat training with a sharpened samurai katana. You could also get a wooden sword replica or a bokken, but it’s nothing like holding a steel sword in your hands. Fortunately there are plenty of non sharpened training katana you can find that are full tang and can endure any kind of practice. Usually the tip of the blade (kissaki) is also rounded off to prevent any kind of stabbing accidents, so you’ll be fairly safe in your training. Although protective gear for such training can be harder to get, I’ll post an article about that soon as well so you’ll be covered. Take a note that Iaito swords can often cost just as must as sharpened battle ready katana, which is due to the fact they are constructed and forged from the same materials. They often also have high quality fittings which can also drive the price up. Iaito swords can as mentioned be used for safe training, but they also make amazing decorative swords which are perfectly safe to keep around the house, so if you want to decorate your home with a katana but are afraid your kids might get hold of it an Iaito is an excellent choice. Another thing to remember is that not all Iaito katana are well suited for combat practice. Some simply don’t have the durability, not because they are low quality but rather because that’s not their intended purpose. In most martial arts bamboo swords called shinai are used when sparring, so make sure you read reviews of these samurai swords and verify they can be used for training before you commit to buying one. In case the sword breaks during training it can potentially hurt someone so make sure to learn if it’s likely to happen beforehand. For a selection of some of the best Iaito katana for reasonable prices see below.